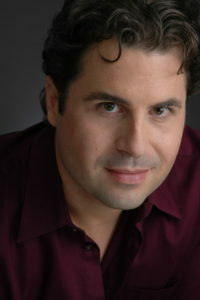 Continuing to thrill audiences worldwide with his powerful voice and amazing performances, critics hail American tenor Michael Wade Lee as “that rarity among operatic tenors, a really good-looking, virile, well-built and gifted thespian with a wide-ranging voice to match.” Recent roles include Calaf TURANDOT and Riccardo UN BALLO IN MASCHERA for Aalto-Theater Essen; Don José CARMEN for Estonian National Opera, Greek National Opera, San Antonio Opera, Staatstheater Mainz, and Chautauqua Opera; Radames AIDA with Estonian National Opera, Lyric Opera Productions in Dublin, and Anapolis Opera; Il Duca RIGOLETTO with Pittsburgh Opera, Estonian National Opera, San Antonio Opera, Wichita Grand Opera and Opera Birmingham (US), and Festival Of The Aegean; Cassio OTELLO with Opera North (UK); the title-role STIFFELIO for Theater Krefeld/Mönchengladbach and Theater Mannheim; Don José CARMEN and Gabriele Adorno SIMON BOCCANEGRA for Theater Osnabrück; Alfredo LA TRAVIATA for Boston Lyric Opera; Manrico IL TROVATORE for Wichita Grand Opera and Lyric Opera Productions in Dublin; Turiddu CAVALLERIA RUSTICANA at Theater Krefeld/Mönchengladbach, Chelsea Opera, and Kentucky Opera; and a return to Aalto-Theater Essen as Calaf TURANDOT. Other roles include Rodolfo LA BOHÉME, Alfredo LA TRAVIATA for the Estonian National Opera. ; Luigi IL TABARRO for the Bard Music Festival; Nemorino L’ELISIR D’AMORE for the Glyndebourne Festival; Ireland; Pinkerton MADAMA BUTTERFLY with Musica Viva (Hong Kong) and Midland Opera; the Prince (cover) RUSALKA twice with the Royal Opera House, Covent Garden and twice Glyndebourne Festival Opera. Concert appearances include Beethoven Ninth Symphony with RTÉ Broadcast Orchestra Dublin, the Tucson Symphony Orchestra, The Raylynmor Tsunami Relief benefit, and The Greater Bridgeport Symphony; the Verdi Requiem with the Kalamazoo Symphony and in Poland with Pilska Orkiestra Klasyczna. Other concert appearances include the First Guest in Dargomyzhsky THE STONE GUEST and the tenor solo in the North American Premier of Scherbachyov Symphony Blokovskaya with Leon Botstein and the American Symphony Orchestra. The New York Times said, “[Mr Lee] sang with attractive tone and stamina in the final movement, a lurid Dantean fantasy…”He also sang the tenor solo in the Mozart Requiem and Jenkins The Armed Man: A Mass for Peace at Carnegie Hall and has appeared in concert with the San Francisco Opera Orchestra and on the stages of Avery Fisher Hall, Alice Tully Hall and Merkin Hall in New York City. Mr. Lee was consistently a yearly finalist in the Texoma region’s NATS competition throughout the early 90’s and won the Metropolitan Opera National Council encouragement award in Indiana in 2000. Additional awards include a prestigious Merola Career Grant and the Pacific Opera Career Grant.